Summers are almost here knocking at your door. Phew!! Hate those boring long stuck at home kinda days. What to do? Can’t change it ;) And if you can’t change it make best out of it!! 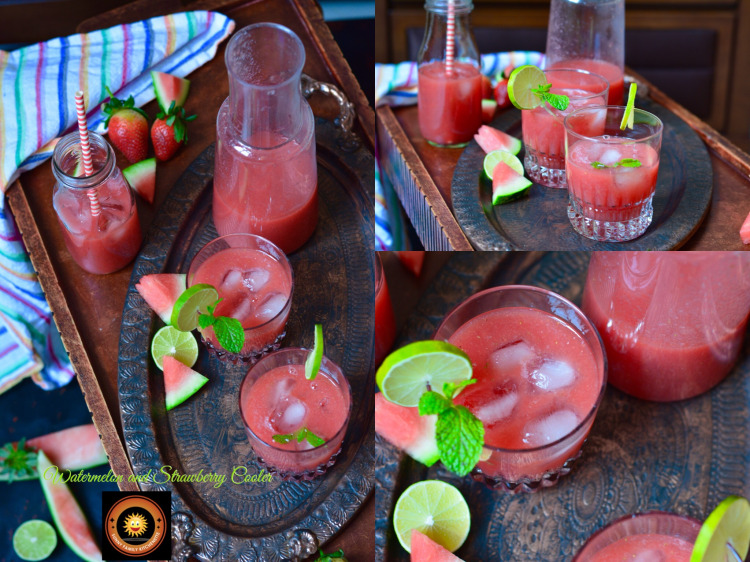 Tea and Coffee sessions are giving way to Cool and Refreshing Mojitos, Mocktails and Coolers. 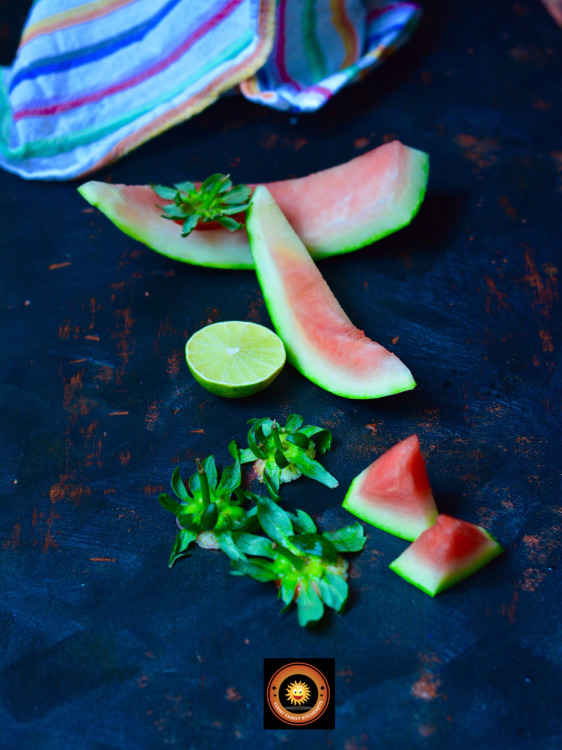 Watermelon and Summertime are so synonymous. 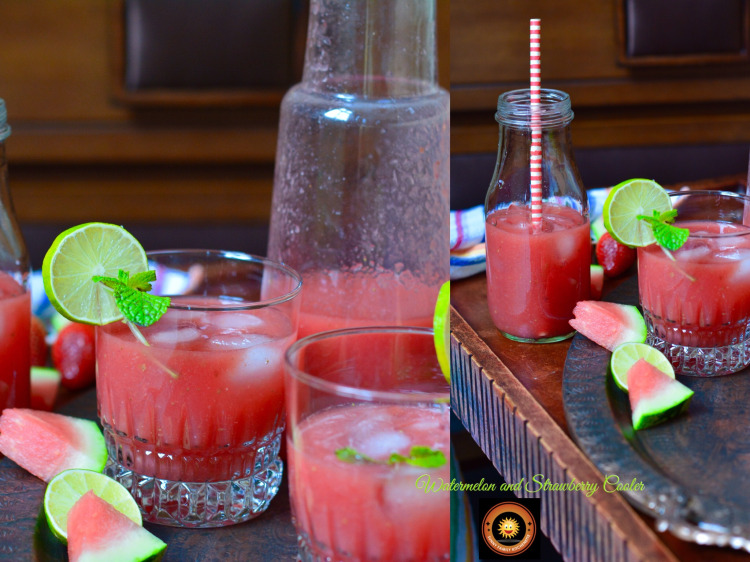 Watermelon juice is very common at my home during summers. 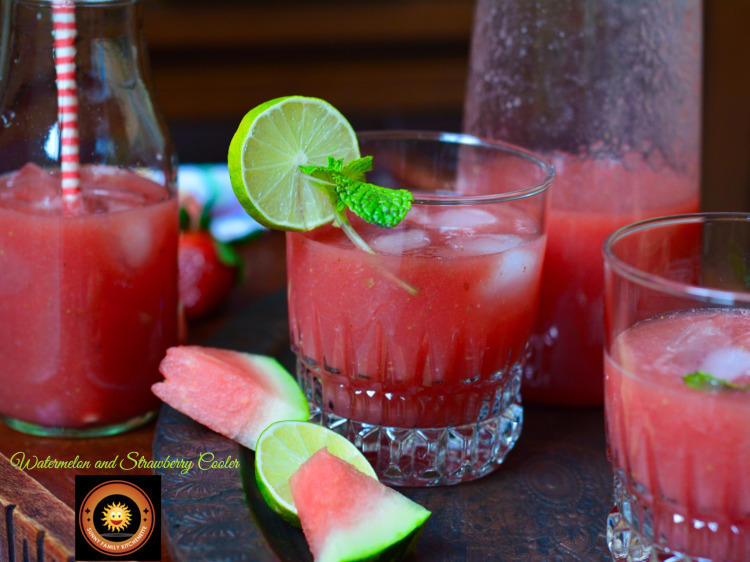 The added Strawberries gives the watermelon juice not only a very refreshing feeling but also a rich body too. 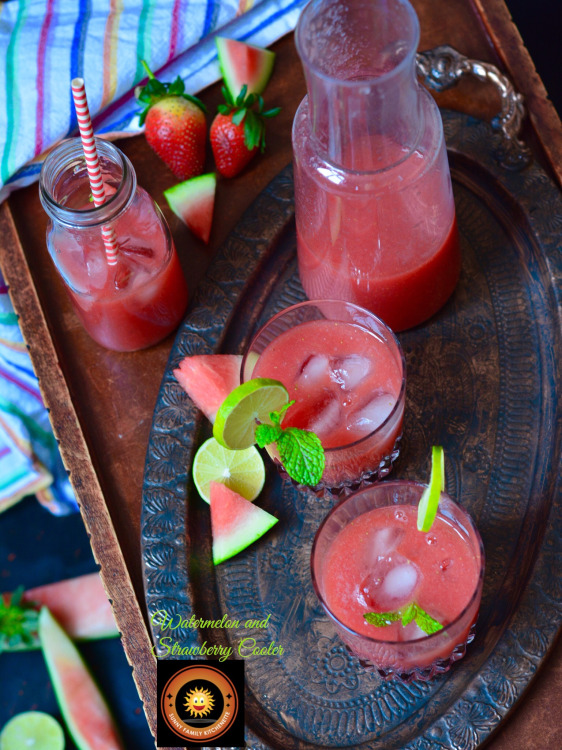 This summery cooler is not only very refreshing but quite filling too. 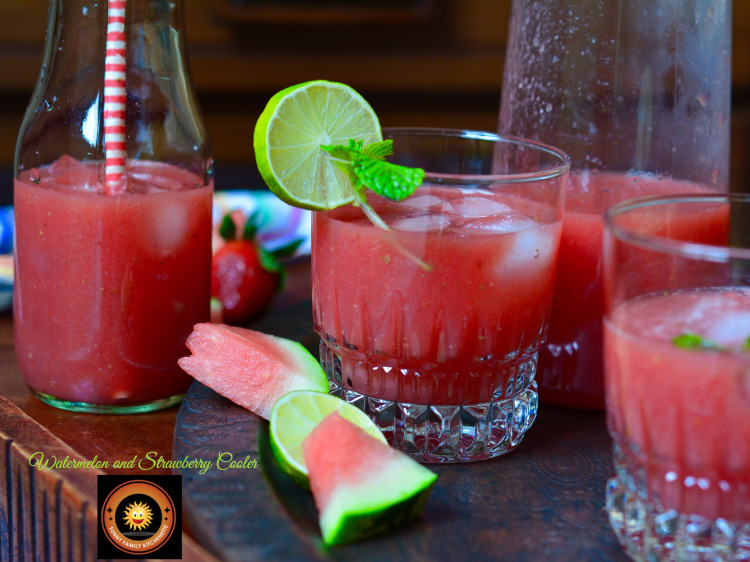 Sip and relax and beat the heat with a chilled glass. Off to my second glass, relaxing on my favorite armchair and Netflix in front of me. What more you can want!! 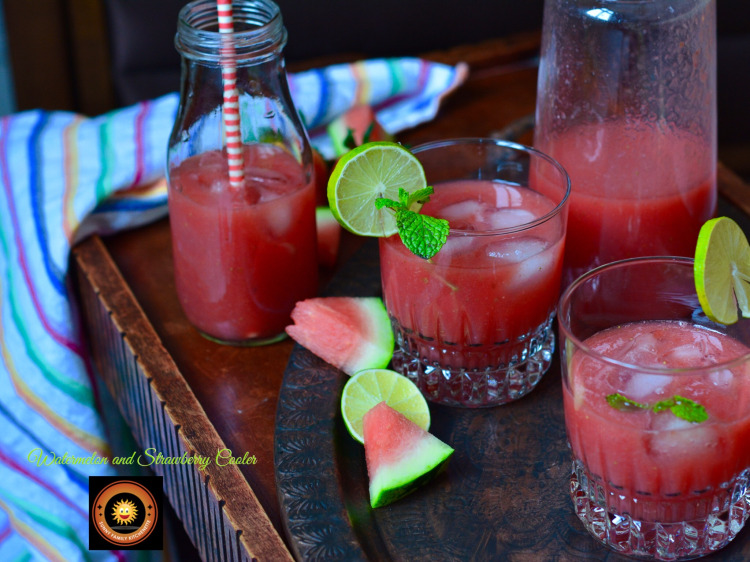 Deseed watermelon and cut in smaller chunks. 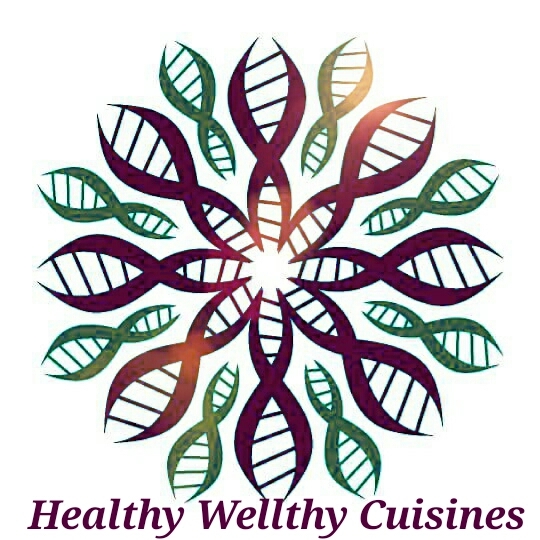 Blend everything well in a mixer or with the help of a stick blender. Add ice cubes and enjoy the yummy treat! !